Franca Sozzani attends the Balenciaga show as part of the Paris Fashion Week Womenswear Fall/Winter 2015/2016 on March 6, 2015 in Paris, France. 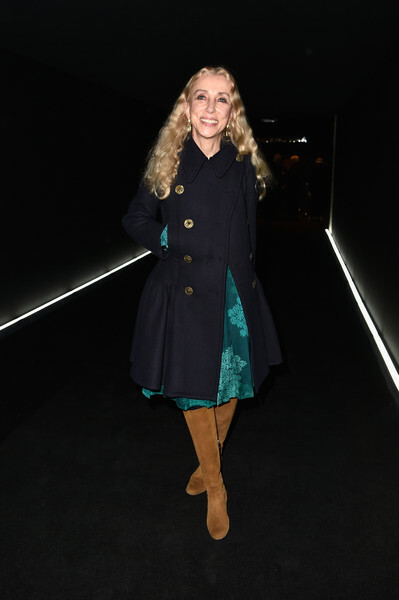 Franca Sozzani finished off her cold-weather look with camel-colored knee-high boots. Franca Sozzani layered a black fit-and-flare coat over a teal cocktail dress for the Balenciaga fashion show.